National Health Mission invites application for the posts of Medical Officer (Male, Female) Ayush, Pharmacist & Female Health Worker. Apply before 20 August 2016. 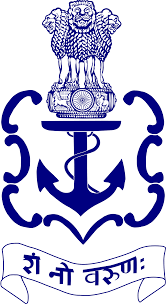 Indian Navy invites application from unmarried Male Indian citizens for Sailors (Sports Quota Entry) 02/2016 batch at Indian Navy. Apply before 27 May 2016.